The Starwood Preferred Guest personal and business credit cards from American Express now come with 35,000 bonus Starpoints for spending $3,000 and $5,000 respectively in the first three months of cardmembership. American Express recently introduced a rule that you can only get the bonus once per lifetime on each of its cards. Eligibility is separate for each card. That means if you’ve only ever had the business card, you can still get the personal card or vice versa. But if you’ve had the personal card before, you can’t get this bonus on the personal card. If you’ve had the business card before, you can’t get this bonus on the business card. 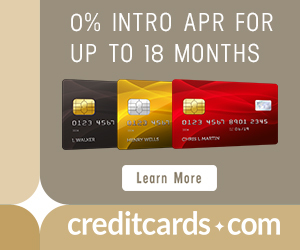 If you get both cards, you’ll have to spend $8,000 total in the first three months of cardmembership. In return, you’ll get one Starpoint per dollar spent plus a 35,000 point bonus on each card for a total of 78,000 Starpoints. I get at least 2.5 cents of value per Starpoint in the following ways, meaning a total value of at least $1,950 to me. These are old examples. The prices have surely changed. Just pay attention to the ideas embedded in them. Le Méridien Chiang Rai Resort, Thailand is a stunning category 2 hotel that goes for only 3,000 points on the weekends. One weekend night in January goes for $123, so that redemption would be worth 4.1 cents per point. And more importantly, 78,000 Starpoints would be enough for up to 39 weekend nights at some properties. To see why, let’s look at the Sheraton Frankfurt Congress Hotel, a Category 3 property. For a Tuesday this month, the hotel wants 149 euros for the refundable rate. Or you could spend 7,000 Starpoints for a Free Night, or you could spend 3,500 Starpoints + $55. And I chose this hotel because I’ll be in Frankfurt next week, not because it has an abnormally valuable Cash & Points option. I’d frankly consider 3 cents per point about average for a Cash & Points redemption. For people who eschew chain hotels, Starpoints are incredibly valuable to transfer to airline miles because their are so many partner airlines, and in most cases, transferring 20k Starpoints nets you 25k miles in the account of your choice, a 25% bonus! Starpoints transfer to 30 airlines in total, mostly at favorable rates. The best three options are Aeroplan, Alaska Airlines, and Asiana. Starpoints transfer in a 20k points to 25k miles ratio (1:1.25) to all three airline airlines, and none is a transfer partner of Ultimate Rewards or ThankYou Points. Click here for the reasons to transfer to those three airlines. The one glaring weakness in the airline transfer partners is that United is not a 1:1 transfer partner, 20k Starpoints transfers to only 12,500 United miles. Avoid that transfer, and earn Ultimate Rewards instead to transfer to United. But apart from that, the transfer partner list is astoundingly excellent. You can get on most commercial flights worldwide through one of these transfer partners. Both the Starwood personal and business cards confer 2 stay credits and 5 night credits toward elite status, and they are cumulative, so if you get approved for both cards, I’ll have 4 stays and 10 nights credited to your account, leaving you just 6 stays or 15 nights short of Gold Status. Other than stays, you can also get Gold Status by having an American Express Platinum card or spending $30k per year on a Starwood credit card. Tell each of your parents to get the Starwood Preferred Guest® Credit Card from American Express. Of course you can do better than putting all of your spending on this card by taking advantage of other card’s bonuses, but you can do pretty well by putting all your spending year after year on this card and building a balance of valuable hotel points that can also transfer to 30 airlines. When people come to my Award Booking Service with a stash of Starpoints, I know the job will be easy. I’ve argued before that Big Spenders Should Be Using One of These Three Cards (And They Probably Aren’t). One of those cards is the Starwood card. Because of its transfer partners and transfer bonus, using the card is like earning 1.25 miles per dollar in almost any airline program. A lot of airlines and hotels, want you to blow your points on overpriced experiences and merchandise, but Starwood Moments have some good values. I spent 5,500 Starpoints for two tickets to a Captial Cities concert, plus the chance to meet the band beforehand, and free food and drinks at a reception. Starwood has an awesome chart that compares many of the redemption options discussed here and some worse options not discussed here. If you have the personal or business card, you can refer friends to these offers and earn 5,000 bonus Starpoints for each friend who gets the card. Log in here to get your referral links. You can post or request referrals in the comments. Currently, both the personal and business versions of the Starwood Preferred Guest credit card have a 35,000 Starpoint sign up bonus until March 30, 2016, their largest ever. Getting both cards gives you 78,000 total Starpoints after meeting their minimum spending requirements. Through Free Nights, Cash & Points, airline transfers, and Nights & Flights, you can plan to get at least 2.5 cents of value per Starpoint. These are the set-it-and-forget-it cards. For people who don’t have that attention span, these are go-to, everyday cards to keep in your wallet for a long time to build up balances towards incredible vacations. Next articleHainan Airlines Awards Now Bookable with Alaska Miles! 50,000 Miles One Way in Business to All of Asia! For trying to get as many United flights as possible (because they don’t serve peanuts and my son has a severe allergy), would it be possible to transfer SPG points to US Air and then book United using US Air miles? Yes. You can book any Star Alliance partner including United with US Airways miles. Scott – What do you think of the argument that if one is staying at a Nights and Flights eligible property that one should always take the offer assuming they have enough points? An example to consider. I want to go to Disney for seven nights. It would cost me 60k for a room at the Swan for the week (40k for 4+1 free night, and 20k for last two nights). On a nights and flights booking it would be 90k for the same 7 nights but I would be getting 50k airline miles for 30k starwood points which is a great redemption. Would you do it even if you have no intention of using those miles to get to MCO? Would you credit to AA for a later international trip? I would almost always take Nights & Flights if available. As you point out, I don’t think it matters whether you plan to use the 50k to get to MCO (in fact using the 50k AA to get to MCO would generally be a bad redemption. It just comes down to whether you’d trade 30k SPG for 50k AA. I would, but some people who routinely make incredible Cash & Points redemptions might not be interested in that trade. DROPDOWN CHOICES DO NOT INCLUDE SAS (SHE CONFIRMED THAT. THERE CERTAINLY ARE NOT 350 AIRLINES LISTED THERE. spg points do not transfer to SAS either and SAS keeps its business class inventory (especially to and from SFO ) for its own Eurobonus members. 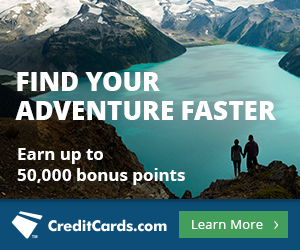 Know of any card available in US which would help me earn SAS eurobonus points? “SPG Flights” was only mentioned in the bullet points for the card promulgated by American Express. I didn’t mention it in the main body of the article because SPG Flights is an awful deal and is not a point transfer mechanism at all. I do not know of any US card that can transfer to SAS. Yes, you can can xfer SPG to any *Alliance member and book UA flights. do star points ever expire? do you get to keep them without having to transfer them when you close a card? thanks. Starpoints expire if you have no activity in your SPG account for 12 months. Using the credit card counts as activity though! Just got my DBA yesterday (Soapy Notes=washable post-it notes I sell online) and the SPG business card today. Very exciting! Thank you all again for this awesome site! I have 2 Amex cards right now… I would hate to spend $5,000 only to find out that I would not get the 30,000 points. I think everyone is a bit confused by that language. My understanding from reading dozens of reports is that the 12 months rule refers to the Personal card. If you’ve never had the SPG Personal card, you can get the bonus even if you have other SPG cards. But under no circumstances would you have to spend the $5k to find out your eligibility. You can confirm with the rep when you activate your card. Thank you for applying for the Starwood Business Card. We value your membership and appreciate your interest in another American Express Card. According to our records, you submitted more than one application for a similar American Express Card so we’ve cancelled the duplicate request. Anyone able to apply for both? Have you called AMEX to ask them to reinstate the second app. I know many people have been approved for both at once. You might have also done better by applying for both at the same time. I am interested in applying, but when I click on your Starwood link, I don’t see anything about miles/pts other than the 5,000. Is the 20K offer after spending, x amount gone now? The 25k offer is still around. I think it may be the cookies in your browser that are causing the inferior offer. Try to open it in another browser, and let me know if that works. I applied for ad received both cards. Hit my spending requirements within about 2 months – on both cards (unfortunately I had some exceedingly high veterinary bills). I cleared the spend hurdle on the personal card first and then on the business card. I have received the bonus points on the business card but NOT on the personal card. I’ve contacted AMEX and SPG about it – I am unclear on who it is I need to reach. Does anyone happen to have a PDF or screen shot of the terms for this offer? AMEX is who to contact. I don’t have a screenshot of the 30k offer from August, but they should know what offer you applied for. Any suggestion on which phone number and what department I want? I’ve tried calling a couple of times and never seem to find anyone who is able (or willing) to assist me. Clearly I am now an existing account but it seems like the only people who might know something would be in the “new accounts” area. I would just call the normal customer service. They should be able to see what the sign up bonus was on the card and whether you’ve met its terms. Do you know whether there is a way to find out if you have previously had a particular AmEx card? I recall having had a SPG card some years ago, and I don’t want to apply and be approved for a card that will not earn the bonus. Also, with the Marriott/Starwood M&A now approved by US and Canadian anti-trust authorities, do you have any thoughts on the loyalty programs? Earn or burn?